Congratulations to tour winner April B. and to host winners K.T. Castle and Andi's Book Reviews. 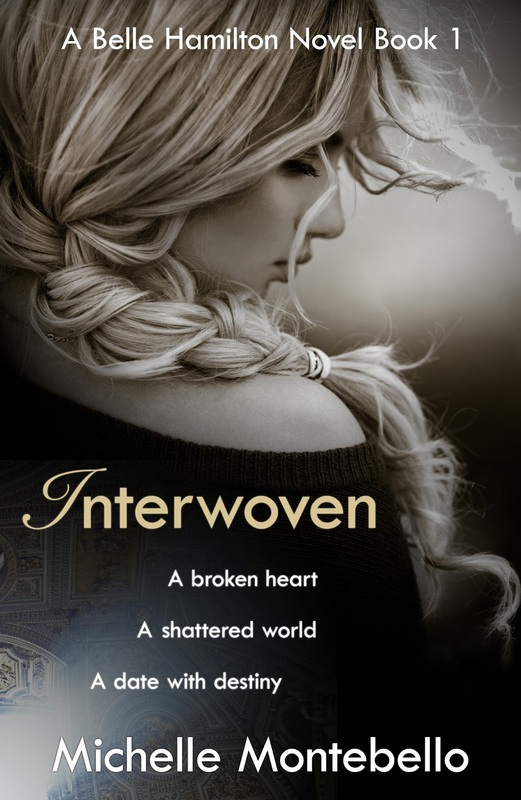 Goddess Fish Promotions is organizing a Virtual REVIEW ONLY Tour for Interwoven by Michelle Montebello, a 228 page Contemporary Romance available now. The tour will run every Monday for 4 weeks starting on February 19, 2018, and the book is available in mobi and ePub format. Michelle will be awarding a $20 Amazon or B/N GC to a randomly drawn winner via rafflecopter during the tour, and a $20 Amazon or B/N GC to a randomly drawn host. Additionally, Goddess Fish Productions will be awarding a $5 Amazon GC to a randomly drawn host. Belle Hamilton is a romantic at heart. She's engaged to the love of her life and dreams of marriage, children and a happily ever after. Belle’s world is close to perfect until one afternoon she makes a decision she can't take back. In the blink of an eye, Belle’s life spirals out of control. She loses everything that is dear to her and is forced to flee to the other side of the world where she meets Andrea, a local bartender from Rome, and develops an unexpected connection with him. Can they break through the complications of past hurts and a long-distance relationship to make it work or will one terrifying night in Paris end it before it had a chance to begin?